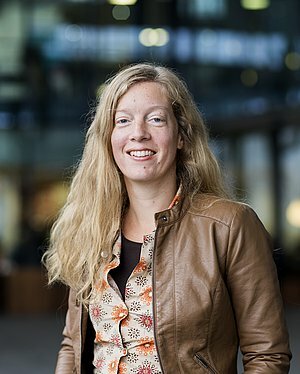 The Executive Board of the Eindhoven University of Technology (TU/e) has dr.ir. Ilja Voets (37) and dr. Fausto Gallucci (43) appointed as professors at the Department of Chemical Engineering and Chemistry as of 1 February, 2018. Voets will occupy the chair 'Self-organizing soft matter' and Gallucci the chair 'Inorganic membranes and membrane reactors'. The new professors are currently already working at the Department of Chemical Engineering and Chemistry as Associate Professors and are now taking the next step in their scientific career. The field of soft matter is a broad, interdisciplinary discipline in which chemists, physicists and biologists study materials that undergo changes in structure and properties under the influence of their environment. These include colloids, (supramolecular) polymers, proteins and many other biological materials, gels, liquid crystals, and foams. The materials are intrinsically adaptive, because the – often tuneable - physical interactions are comparable to thermal energy. The ‘Self-Organizing Soft Matter Chair’ within the Department of Chemical Engineering and Chemistry will take an experimental, multi-scale soft matter approach, with a strong focus on interdisciplinary challenges, small length scales (sub-μm), short (ms) time scales, complex mixtures of different (organic) components and innovative experimental techniques. Herewith the chair interfaces with and builds bridges between classical disciplines of chemistry, physics and biology through excellent fundamental scientific research on topics relevant to society and (chemical) industry. The research within the ‘Self-organizing Soft Matter’ group focuses on the development of new, advanced measurement and analysis methods, and on their application in the experimental study of the behaviour of self-assembling and bio-inspired materials. Thematically, the research is divided into two subjects, namely, the (external) regulation of self-organization of macromolecules and colloids on nano-, meso-, and macroscopic length scales, and the self-organization of proteins at interfaces. The membrane reactor technology is based on a device combining a membrane based separation and a catalytic chemical reaction in one unit. Every catalytic industrial process can potentially benefit from the introduction of catalytic membranes and membrane reactors instead of the conventional reactors. By integrating reaction and separation, the yield and efficiency of the reaction system is increased, while the process is made more compact and inherently safer. 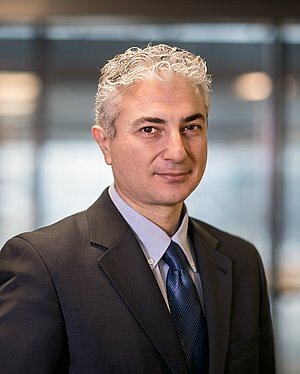 In the ‘Inorganic membranes and membrane reactors’ chair Gallucci will work on the fundamentals and development of selective and stable membranes and membrane reactors to be applied for more efficient and sustainable energy conversion, for chemical production and for bio-based conversions. The research within the ‘Inorganic membranes and membrane reactors’ group focuses on the development, characterization and testing of inorganic membranes, including but not limited to Pd-based membranes for hydrogen separation, perovskite membranes for oxygen and hydrogen separation, non-Pd membranes for hydrogen separation, supported carbon molecular sieve membranes, supported liquid membranes and (zeolite) catalytic membranes.